Zoopla allows a limited access to its API providing the latest property prices and area indices. 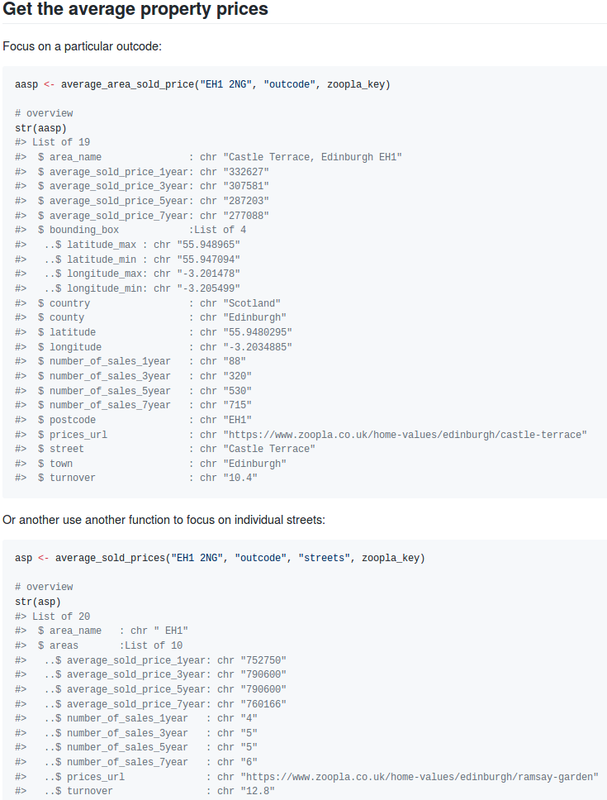 I created a package in R that allows querying this database. See the GitHub documentation or zooplaR’s page for the latest info. Given, the limit number of queries, it might be worth double-checking the results with the property widget offered by Zoopla (redirects to zoopla.co.uk). It doesn’t have as many options as the API and obviously is not automatic but it’s worth using for a sanity check.